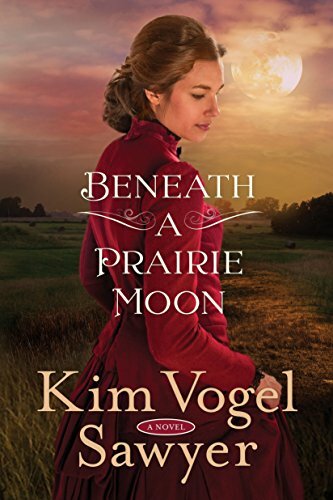 Beneath a Prairie Moon brings us a story of Abigail Grant fallen from society due to her father's illegal dealings, leaving her penniless. Her last hope was to sign up to be a mail-order bride, but even that fails! Mrs. Bingham—owner of Bingham's Bevy of Brides mail-order service—decides to give her one more chance, but this time as an etiquette instructor to the rough and tumble potential grooms of Spiveyville, Kansas. What ensues could be disaster or God's answer to her prayers. What a fun read! My heart went out to Miss Grant, who through no fault of her own, must seek out a different lifestyle than what she was brought up in. I can understand trying to make your own way into a world you don't have the first clue about. Part of me felt sorry for her and all the things she went through in her young life. Facing the unknown is certainly scary! But I love the way that Mrs. Bingham (Helena) took her under her wings and guided her along the way. Just like a mother hen, she sometimes had to ruffle her feathers a bit and other times had to gather her close to lovingly encourage her. You can tell that Helena cared very much for her and only wanted the best for her. As for the potential grooms, each one had their own ideas and often times caused quite a stir with their uncouth and uncivilized ways! I had to laugh at some of the things they said or did, although I couldn't help but fall in love with their own unique personalities. I often found myself grinning from ear to ear! Now Mack Cleveland certainly stood out among the rest of them. While he was about the only one who hadn't sent out a letter to ask for a bride, he was willing to extend friendship to Abigail. He knew what it was like to have nobody to extend kindness to you, but he loved the town and how its occupants extended that to him in a time of his own need. I loved watching romance slowly blossom like a prairie flower between these two. Sometimes love comes on gentle wings and your heart doesn't feel it until it grows so big that you can't imagine being without that person in your life. And that's exactly what happens here! Over all, faith is liberally sprinkled within the pages. Abigail had left her faith behind, Mack has always had his faith to cling to, and Mrs. Bingham lets it shine forth in all she does or says! A wonderful story to warm you heart and soul, bring laughter bubbling up, and a whole passel of potential grooms to get to know and love! Another fantastic historical story written by one of my favorite authors. Abigail Brantley grew up in affluence and knows exactly how to behave in high society. But when she is cast from the social registers due to her father's illegal dealings, she finds herself forced into a role she never imagined: tutoring rough Kansas ranchers in the subjects of manners and morals so they can "marry up" with their mail-order brides. Mack Cleveland, whose father was swindled by a mail-order bride, wants no part of the scheme to bring Eastern women to Spiveyvile, Kansas, and he's put off by the snooty airs and fastidious behavior of the "little city gal" in their midst. But as time goes by, his heart goes out to the teacher who tries so diligently to smooth the rough edges from the down-to-earth men. How can he teach her that perfection won't bring happiness? I have to admit it...hosting reviewers means I've read many more reviews than I usually do! The name of the 'bridal company' is too cute! It's been far too long since I read a story by this prolific author and this one sounds adorable! thanks so much, Trixi! This sounds so cute. What a lovely cover, too! Thanks for the great review, Trixi! 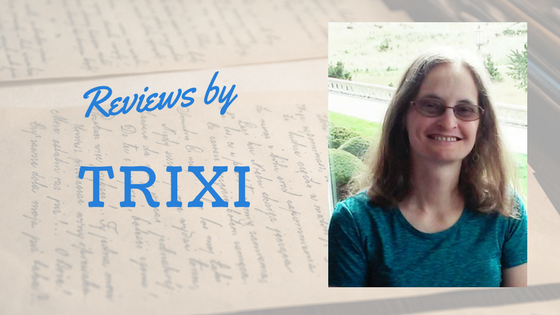 Thanks for the review, Trixi. I thoroughly enjoy reading Kim's books and from this outstanding review, it sounds like this one's another winner.